Every day more headlines tell the same story. 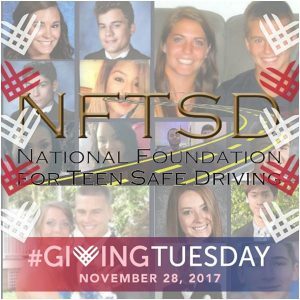 Each year thousands of teen lives are cut short from car crashes, and thousands more suffer life altering injuries. Sadly, the majority of these crashes could have been prevented. More alarming is that after decades of a steady decline in the number of deaths, the trend has reversed. Fatalities have risen for the last two consecutive years with 2016 having the highest increase in more than a decade. This has to change. But how? Safety is a shared responsibility. Preventing tragic crashes starts by knowing and understanding the facts, raising awareness of the problem and coming together as a community to implement solutions. Now more than ever your support is critical and our plea is even greater. We urge you to give with your heart at a level most comfortable for you. You can also help us by sharing this page with your family and friends. We are a single voice, and with your help our voice can be amplified to reach millions. With your help we can begin to tell a different story. This can’t wait.